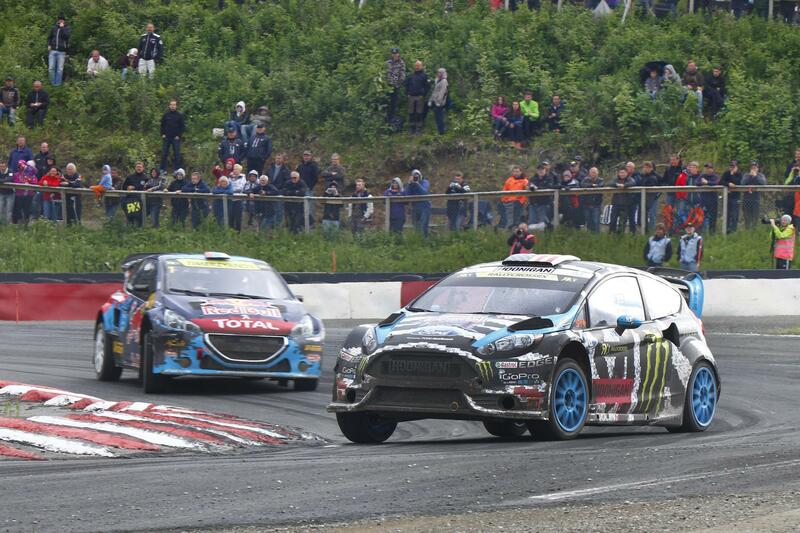 The FIA World Rallycross Championship has conlcuded its third round of racing, this time in the first Scandinavian round taking place in Norway. 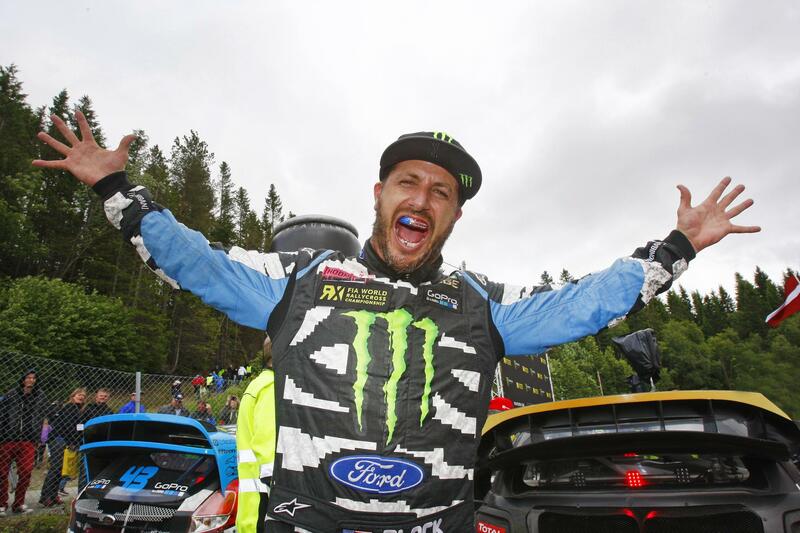 The all-star lineup on the podium included Reinis Nitiss (Ford Fiesta Supercar), Petter Solberg (on his home turf in a Citroen), and Ken Block (Hoonigan Racing, also in a Fiesta). 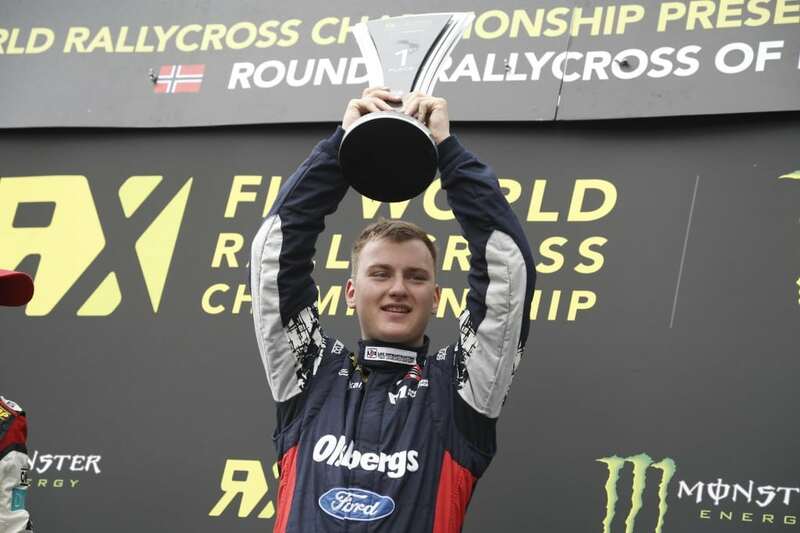 Block was also pleased to have finished on the podium in the unfamiliar World RX, though he was crowned European Rallycross Champion, topping 22 others. Block may have seen his podium finish this weekend lost had close contenders from Team Peugeot-Hansen (Timur Timerzyanov and Timmy Hansen) not made the bad call on using wet tires in the race. When the track dried, they lost several seconds due to having the wrong rubber. The whole race was hotly contended, in fact. The British Bomb Liam Doran was also out of contention this weekend thanks to a puncture in the final. Volkswagen’s Topi Heikinen and Anton Marklund were also heavily in contention for the podium, but couldn’t quite edge out Block or Hansen, with whom they’d battled throughout the race. 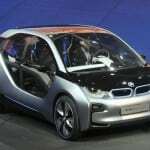 Several other drivers were pushed out of the semi-finals entirely thanks to poor showings. Former F1 champion Jacques Villeneuve (Albatec) lost most of his steam overnight while Ramona Karlsson, who’s been doing well, had two punctures and narrowly missed a chance to stay in the semis. After two heat victories plus a semi and final victory, Latvia’s Janis Baumanis won the Super1600 category. Second place was awarded to Ulrik Linnemann, with Espen Isaksaetre finishing third. 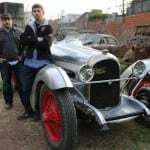 “It’s my 22nd birthday today and this is the best way to celebrate,” grinned Baumanis, who now lies fifth in the S1600 standings. Round one and two winner Sergej Zagumennov continues to lead the category with 79 points. In the TouringCar category, Tom Daniel Tavenik clinched the victory in a Mazda RX8. Daniel Lundh took second, with Fredrik Salsten third to make it a Norwegian one-two-three.